As a car enthusiast, it’s likely you know who Gordon Murray is. And if you don’t, learn. Quickly. Murray is a genius when it comes to developing sports cars and supercars and may have created/designed the very best driving car of all time, in the McLaren F1. The F1, as you probably know, used a BMW engine that was developed by the Bavarians specifically for the F1. In fact, Murray asked BMW M’s Paul Rosche personally to make the engine. Now, Murray is developing his own sports car, independent of any other automaker, and he could be using a BMW engine yet again. The new Gordon Murray T.43, named for it being the 43rd car Murray ever designed, has just had some of its specs revealed and it might be sporting a BMW engine. For starters, this new T.43 will be extremely lightweight, tipping the scales at just 850kg (1,873 lbs), which is a featherweight by today’s standards. In fact, it’s almost hard to comprehend. That lightness is due to its chassis structure, which is made up of simple lightweight aluminum panels bonded to carbon fiber. Also, considering this isn’t likely to be a mass-produced car, it doesn’t have to comply with many government restrictions and/or regulations. Murray also saved weight in other areas. 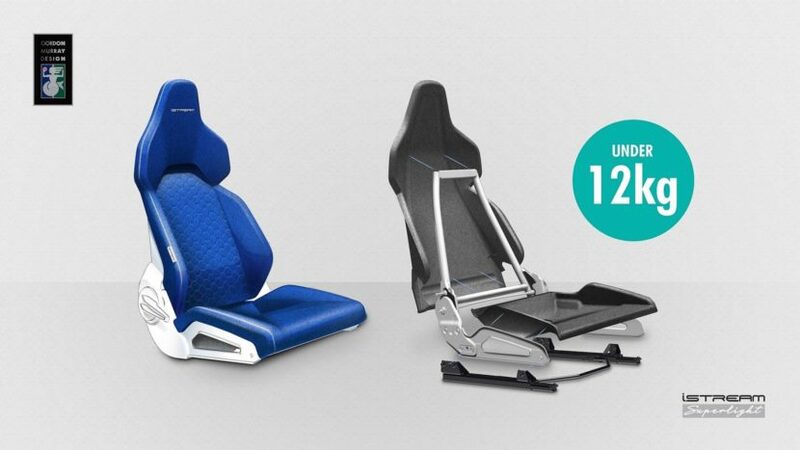 For instance, the seats are said to weigh less than 12kg (26 lbs), which is insane. He also save weight on the engine. 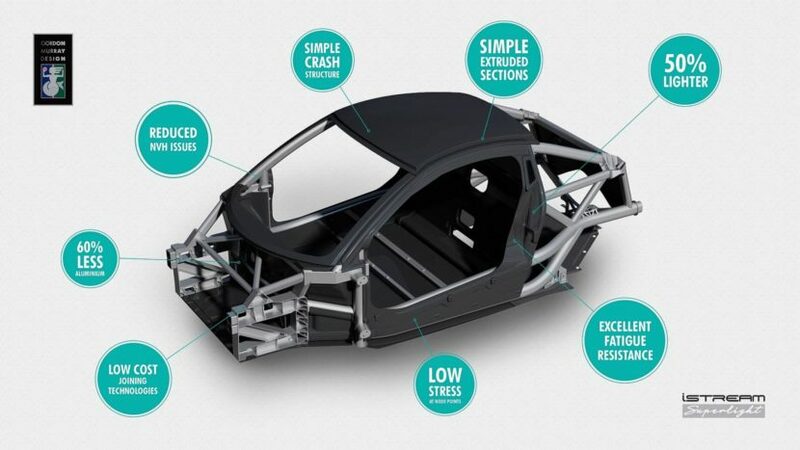 Being an extraordinarily lightweight car, the T.43 doesn’t need a large engine. Which is where BMW likely comes in. The engine powering Murray’s new sports car is said to be a 1.5 liter turbocharged three-cylinder that will make 220 bhp. That sounds mighty similar to the engine that powers the BMW i8. That engine will be mounted in the middle, so not only will it be incredibly lightweight but well-balanced as well. The best part? Its engine will be paired with, and only with, a manual transmission. Now BMW isn’t the only brand on the market with a 1.5 liter turbo-triple, as Ford does as well, but considering Murray’s previous partnership and success with BMW, it makes sense that he’d go back to the Bavarians for an engine. So we’re sort of expecting it to be the i8’s three-pot. This Gordon Murray T.43 is shaping up to be an awesome car. It will be an extremely lightweight, mid-engine, BMW powered, rear-wheel drive sports car with a manual gearbox. Admittedly, it will be ultra-exclusive, so buying one will be next to impossible for anyone outside the UK, if it will even be made for other markets. However, apparently Murray has licensed his chassis tech out to another manufacturer, so it’s possible we could see something similar from another brand in the future. Could that other brand be BMW? We’ll find out soon enough, I guess. Previous Previous post: 2019 Range Rover Sport Is Not That Sporty – But Do You Really Care?